Re: The Pet Food Recall has affected thousands of pets. A good Monday Morning to you all. statistic is likely higher, as there is no central reporting agency. susoect having 1-2 cases in their practices. And on top of all this, it was a completely preventable tragedy. kidney failure was in many of their other foods. wheat gluten, which has NO nutritious value. Wheat gluten should NOT be in any Pet Food. Now I hear that still some of the food is for sale in some stores. Here is more information on that story..
sold in cans and foil pouches in Canada, the U.S. and Mexico. Deaths of at least 14 cats and dogs have been linked to the contaminated pet food. manufactured in the given time frame. food and 53 brands of dog food, has been posted the company’s web site. feeding them to their pets. loss of appetite, lethargy and vomiting, owners should contact their veterinarians. contains aminopterin, a rat poison that can cause cancer, birth defects and kidney damage in dogs and cats. an apology to pet owners. He said the company is relieved that the “root of the issue” has been discovered. “This important discovery caps an unprecedented search by top experts,” he said. The FDA said it is working with Menu Foods to ensure the recall is effective. Consumers with questions may contact the company at 1-866-895-2708.
pet owner and taking charge of your dog and cats health. 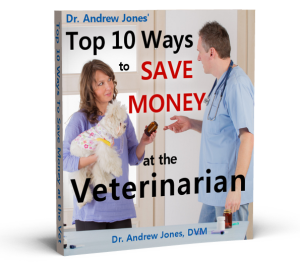 veterinarian, and being aware of all the holistic health options. May be you’re right.. but!! Follow the instructions there, and read their articles and you will keep your dog alive for more 5-8 years more than expect!! They publish new and exclusive articles every single day.. believe me! !